Damascus – He was dubbed the “Greatest Sheikh” and the “Greatest Infidel.” Muhyiuddin Ibn Arabi’s life was defined by great intellectual and religious clashes that began centuries ago and continue to this day. The Sufi scholar, author of “The Meccan Illuminations” (“Al-Futuhat al-Makkiyya”), “The Bezels of Wisdom” (“Fusus al-Hikam”), “The Interpreter of Desires” (Turjuman al-Ashwaq), “The Book of Certainty” (“Kitaab al-Yaqiin”), “The Tree of Being” (“Shajarat al-Kawn”) and many other works, grew up in Andalusia and travelled all over the Islamic world in the 12th and 13th centuries. Ibn Arabi stayed in Hijaz, Iraq, Syria and Armenia. He lived in Mecca, where he wrote his most famous Sufi compositions about the love of God. He spent the last years of his life in Damascus, where he died in 1240 at the age of 75. In Damascus, Ibn Arabi enjoyed a great deal of respect and love. Today, there is a large shrine, which draws many Muslim and non-Muslim visitors, a mosque and a neighbourhood named after Ibn Arabi in the heart of Damascus’s old city, adjacent to the ancient Neighbourhood of the Immigrants. 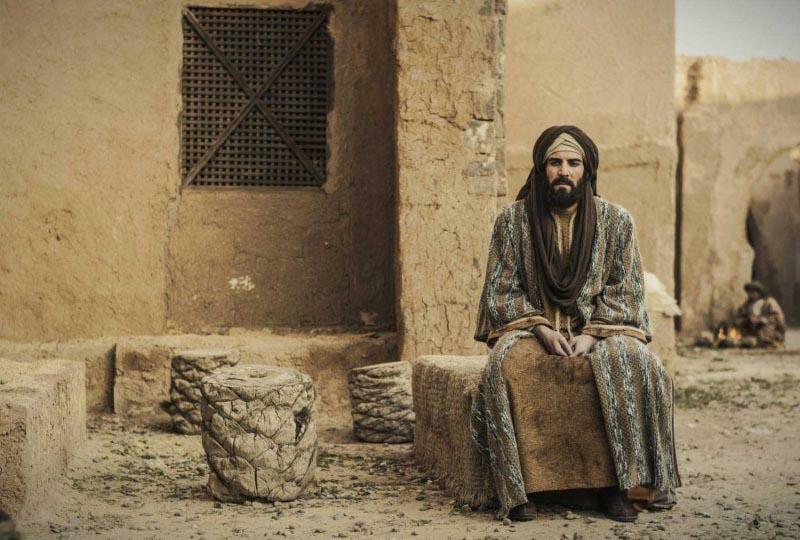 Abu Dhabi TV is producing a historical series about the life and moderate ideas of Ibn Arabi. Written by Mohammed al-Batoush, the series is directed by Ahmed Ibrahim Ahmed, who said he was influenced by the Sufi current. “Ibn Arabi is very important in our culture and life,” Ahmed said. “Ibn Arabi represents the enlightened thinking that existed at that time and that is still valid today, the real and moderate Islam that totally opposes the radical extremist version of Daesh and its ilk.” Daesh is an Arabic acronym for the Islamic State. Ahmed insisted that it is difficult to summarise Ibn Arabi’s life and ideas in a single series. This is why the production team opted to steer away from making a chronological documentary about him and instead focus on specific stages of Ibn Arabi’s life that best represent and explain his ideas. The series is to be divided into three periods. The first stretches over 15 episodes and covers Ibn Arabi’s early life in Andalusia. The second included his life in Mecca where he met Lady Nizam, the daughter of his teacher Sheikh Zaher al-Asfahani and who inspired him to write a different type of love poem. Ibn Arabi’s experience in Mecca allowed him to reach significant depth of thinking related to the distinction between the material and the abstract. His human love for Lady Nizam soon turned into a love of the divine being. It was then that Ibn Arabi started writing his seminal work “The Meccan Illuminations.” He finished it 17 years later. The third period of the series deals with Ibn Arabi’s life in Damascus. Key episodes deal with Ibn Arabi as a Sufi savant. “This particular point was a great creative challenge for me and a strong motivating factor,” Ahmed said. Ahmed said: “No doubt that the mere idea of working on Ibn Arabi in the current context is a great challenge that demands great audacity but we are in dire need of it now. It is these intellectual disputes about Ibn Arabi and his life that are represented by the conflict between the Islamic right and the Islamic left. Ahmed said he expects this great controversy will be revived after the series airs. “I believe that Islamist extremism will be fighting this work because, for them, Ibn Arabi is an unusual case,” said Ahmed. “For them, religion is not open to discussion, changes or modern interpretation. Some clerics refuse the slightest change. “Islam is a great and deep religion with a profound philosophical dimension. The religious right has taken away this depth of Islamic thought and frozen the faith in old templates that it refuses to revise. Ahmed said the Syrian context in particular and the Arab context in general have a great need for strong television works based on knowledge and intellect, instead of the usual commercial works usually referred to as fast-food. Esta entrada se ha publicado en Artículo, Arte, Cosas Nuevas, Historia, Sabías que, Vale la pena ver y se ha etiquetado como Abu Dhabi, cultura, Damasco, Ibn' Arabi, La Meca, mezquita, musulmanes, pensamiento, serie, sufi, vida. Marca el vínculo permanente.